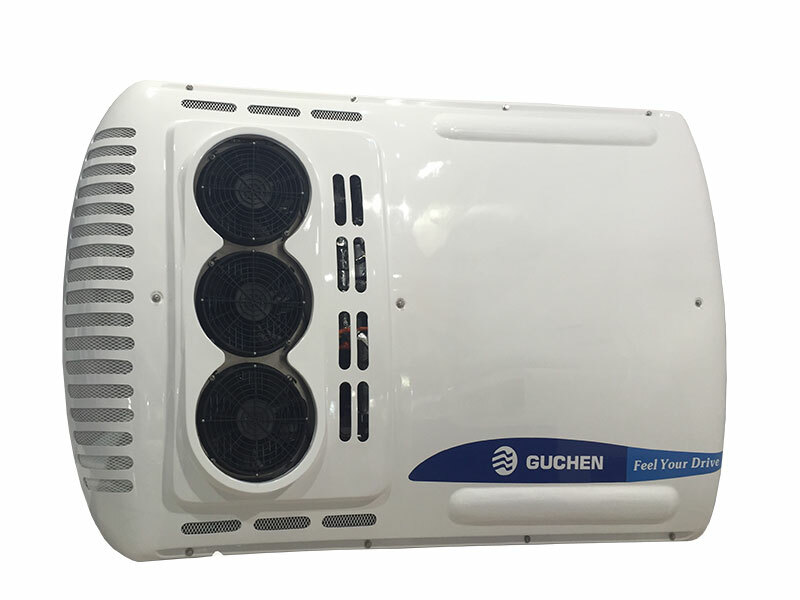 Guchen Industry is offering a specialized range of all-electrical bus air conditioning system (trolley air conditioner or tram air conditioning) for any type of all-electrical buses, hybrid buses, tramways, and trolleybuses. 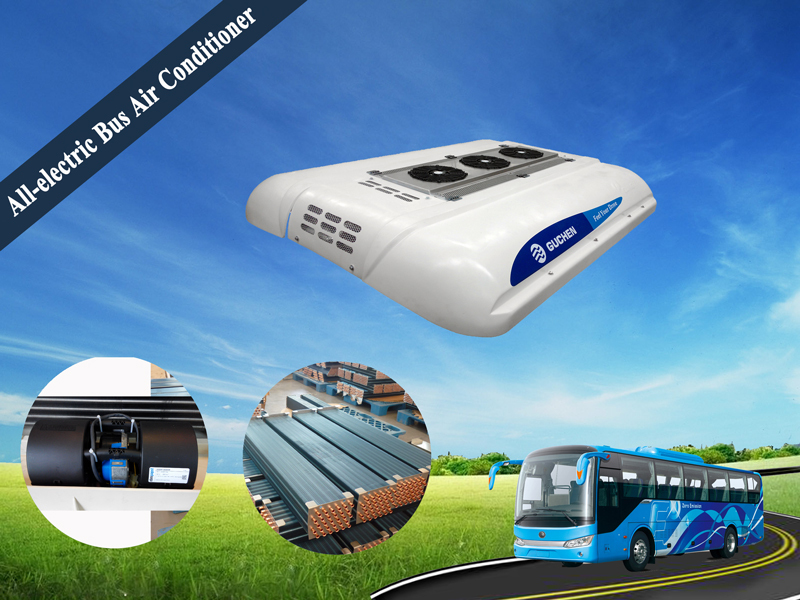 The ES series bus air conditioners are roof top mounted all electric bus air conditioning system, designed for 6-18 meter length electrical bus, tram or trolley buses. 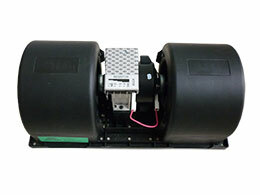 The hermetic scroll compressor and control system are powered by vehicle electric or battery. 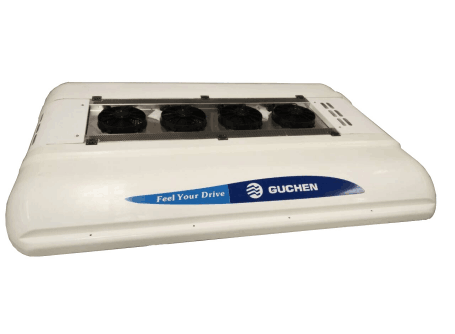 Tips: Customers can choose DC400-720V voltage models according to different demands. 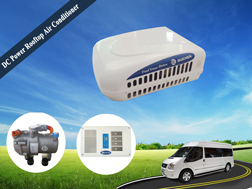 Adopting inverter compressor, all-electric bus air conditioning system adjust the cooling speed, offer the best favorable cooling and heating capacity to the people moving, matched to the cooling load inside the passenger compartment according to the indoor temperature changes, with low noise, low energy consumption(adopt R407C environment-friendly refrigerant, volume charge saving more than 20%). 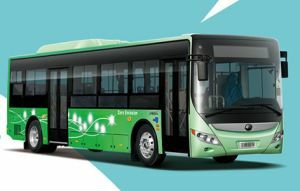 The electric bus a/c adopts efficient air purification system, which is powered by a hybrid drive or all-electric generator or "plug-and-play" depending on your choice to meet the cleaner-operating and more-efficient electric buses. 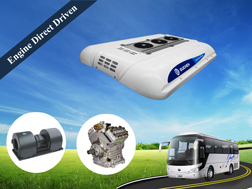 And the electric-bus A/C Parts are subjected to rigorous environment-friendly testing, extend the service life. 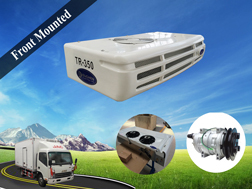 The 12 m all-electric bus air conditioner’s weight from 400 kg dropped 245 kg, with its body length are controlled within 3 m, directly reduces the weight by more than 40%, lower vehicle weight, improve vehicle safety; More effectively enhance the capacity and mileage of the buses. 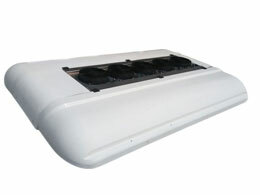 The all-electric bus A/C housing is made of SMC and LFT material, robust structure, greatly reduces the cost. 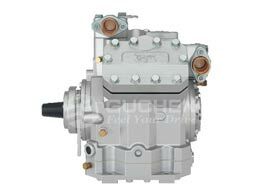 Compressors, power-supply module has a waterproof, dust-proof, shockproof, fully meet the automotive parts and components and have reached IP67. 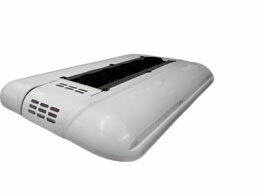 More secure system, higher protection degree. General highway, high ring, a total of 60,000 km comprehensive road, has been tested during the cooling, heating, and other projects. 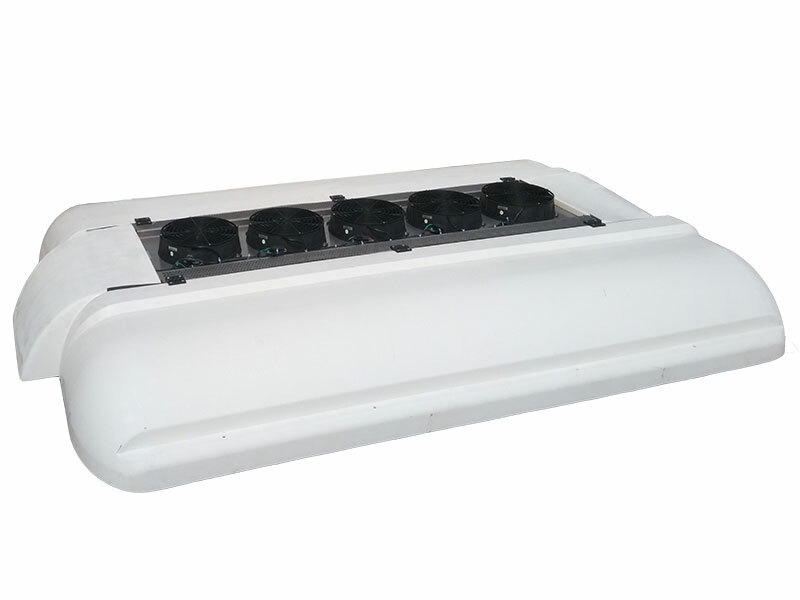 Here is the ES-04 series all electric bus air conditioners mount on ZhengZhou City, China inner city 7 meter length buses project, with its big cooling capacity, it transports ZhengZhou so many people! 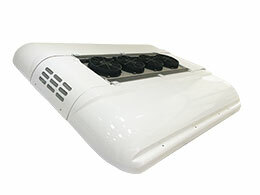 Here is a set of photos about ED-03 full electric bus air conditioners mount on Yutong new energy buses, in the photo 1, the condenser is mounted on the back of minibus, far away from the front door, and fully make the cool air blow to passengers; in the photo 2, the condenser is mounted on the middle of roof top bus, make the cool air below to front and back evenly, especially designed for inner city buses. 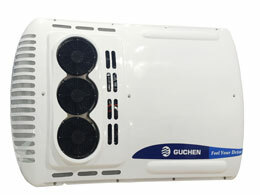 From the video, you can see the great leakproofness of Guchen ES series bus air conditioner. 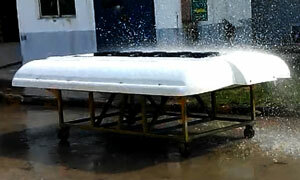 So the great leakproofness can make it to suit for rainy areas safely.